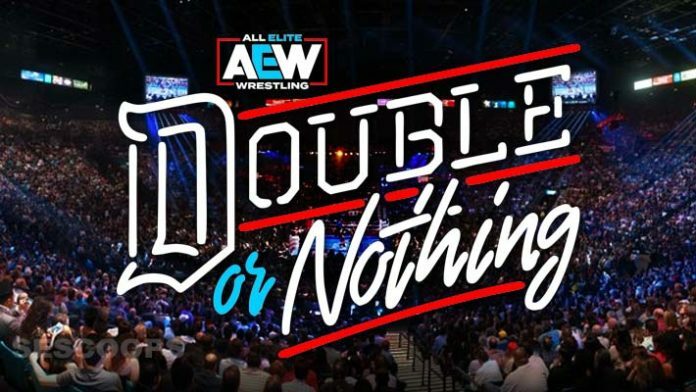 As All Elite Wrestling announces ticket information for its first official show, Cody has revealed his goal for Double or Nothing attendance. Speaking with Jim Ross on this week’s Jim Ross Report, Cody says that the MGM Grand will be scaled for a larger potential crowd than last year’s All In event in Chicago. “Right now, I have the building, me, Matt and Nick, we have it scaled for 11,600,” Cody said. Once the arena is set up for the television shoot, Cody says that the capacity could increase. In discussing AEW’s aims for the event, Cody also says that transparency and honesty about attendance numbers is key. That assertion stands in stark contrast to WWE’s stance of announcing inflated attendance numbers on television. Those TV numbers become canon, and those curious about the real number are left to comb through earnings reports months later to make a determination. Cody also laments that Double or Nothing, for all of its buzz, will not double All In’s attendance. “It’s funny, we were kicking ourselves over calling it Double or Nothing, we couldn’t find a building that had 20,000 to compete with the 10,000 [of All In],” said Cody. Still, Cody says that he’s excited to run the MGM Grand. You can hear Cody’s complete interview with JR below. When referencing this transcript, please credit SEScoops.com. This transcript has been edited for clarity. Do you think Double or Nothing will sell out?